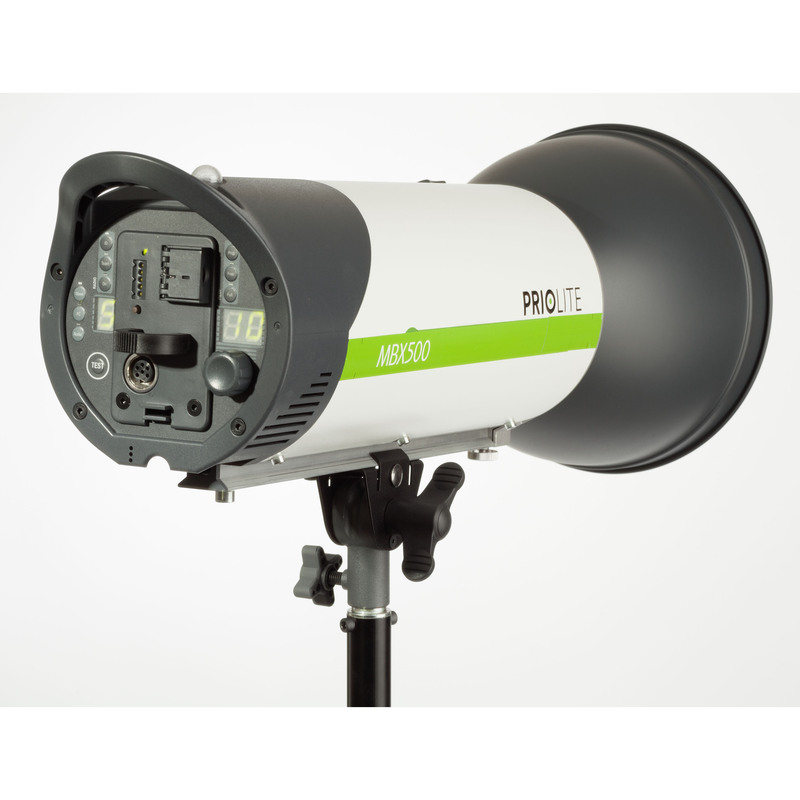 The MBX 500, MBX 1000, and M-PACK1000 are Li-Ion battery-powered (built-in, exchangeable) 500/1000Ws monolights/packs, optimized for short flash duration, and ideal for leaf shutter lens applications. 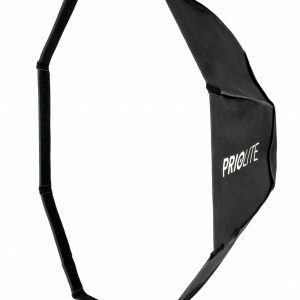 The units are triggered and controlled with the Priolite Remote Control HS, but can also be used with other flash triggering systems. The battery provides up to 220 flashes on the 500Ws units, and 160 on the 1000Ws units at full power and can be changed by the user. The battery has a charge indicator, and can be charged inside or outside the flash unit. The power switch is protected against accidental switching by a spring-loaded flap, so the unit can be transported easily without being accidentally turned on. The flash power is adjustable in 1/10 f-stop increments, using a turning knob, or from up to 1000ft away via the Priolite Remote Control. 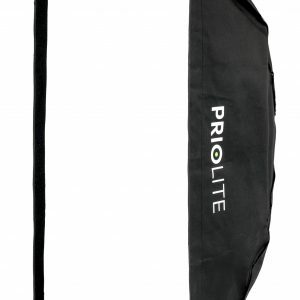 The robust reflector mount accepts not only Priolite reflectors, but also Bowens S-line, and many Hensel accessories. Except for the handle, all parts of the unit are constructed of solid metal. The support rail profile is made of aluminum casting, and the reflector mechanics are made of die-cast aluminum. Please keep on mind that this unit does not support HotSync functionality and will be limited to flash sync speeds at up to x-sync. 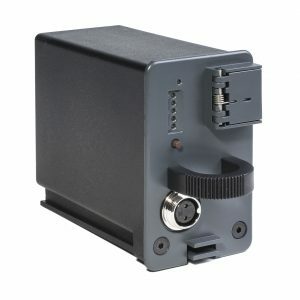 This particular series has been developed with a short flash duration in mind, which makes it an ideal companion for leaf shutter cameras, offering shutter speeds at up to 1/2000th of a second with full flash synchronization.